Synopsis, Our Opinion: GREAT aroma but a disappointing Shiraz with such dominant sweetness. 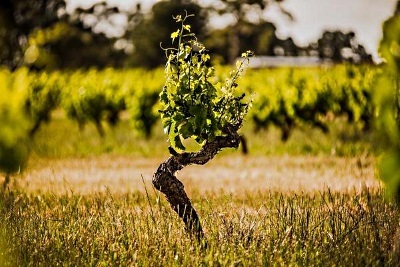 Producer/Winery: Trobreck Vintners; Marananga, South Australia. Geographic Appellation: Barossa Valley, South Australia. Paired With: Stir fry made with very thin strips of venison steak, bell pepper, onion, carrots, and cauliflower enhanced with flavors of garlic, fresh ginger, and soy sauce; served with steamed rice. Opened one hour before drinking. Opaque, purple/garnet color with the same color rim. Strong barnyard and plum aromas (with hints of alcohol on every pour). Smooth entry, jammy with a full body and 80-grit texture. Spicy plum, cherry and licorice flavors that had a powerful sweet dusty taste. Any acidity was lost in the juicy sweetness. Lots of round edged tannins that develop into a long tart chocolate finish. Chewy, flavorful, but way to sweet for our palates. GREAT aroma but a disappointing Shiraz with such dominant sweetness. 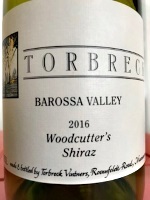 Comments: Learn more about Torbreck and their wines. Imported by: Wine Creek; Healdsburg, California.